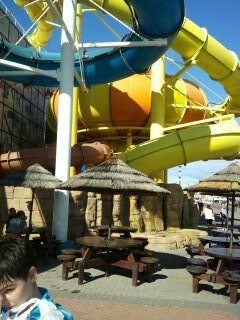 On Saturday we visited The Sandcastle Waterpark at Blackpool. William is a member of The Junior Board which he really enjoys. 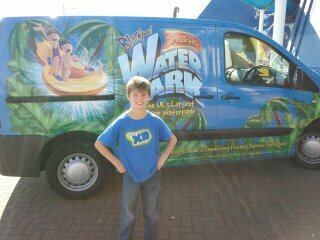 Whilst William was in his meeting me and Luke took the opportunity to go swimming and go on the slides. Luke's favourite part of the Sandcastle is the Ushi Gushi River Creek which has a current that takes you round in a loop. We swam round this most of the time we were at the Sandcastle! 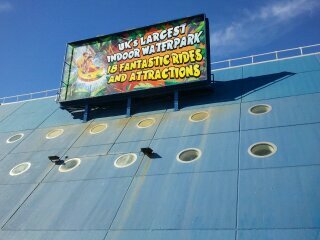 Luke isn't old enough for the big slides so we go on the blue and yellow slides which are fun and not too scary!